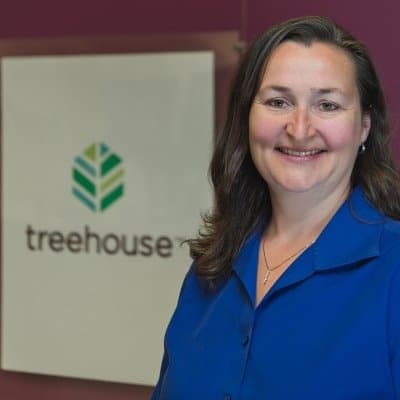 Treehouse was thrilled to join dozens of kids in foster care and their families for the seventh annual “Ride Into the Holidays” on the day after Thanksgiving. 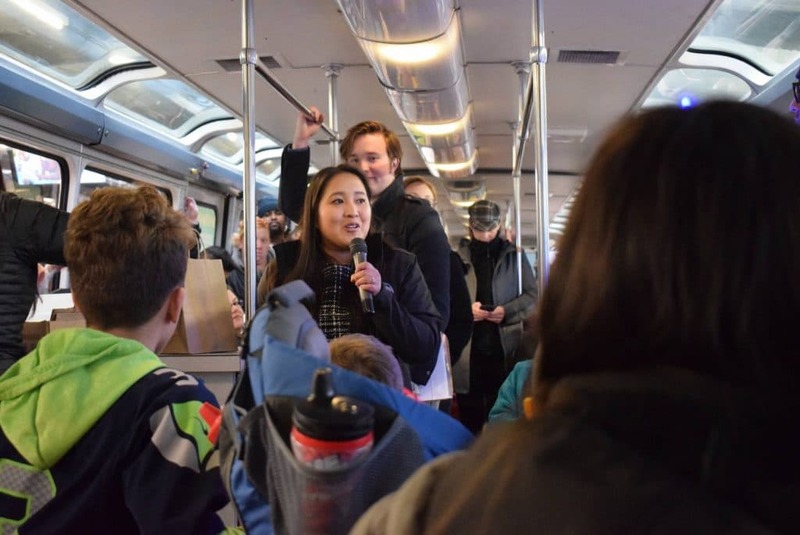 The event was held in collaboration with the Seattle Center Monorail and the Downtown Seattle Association. 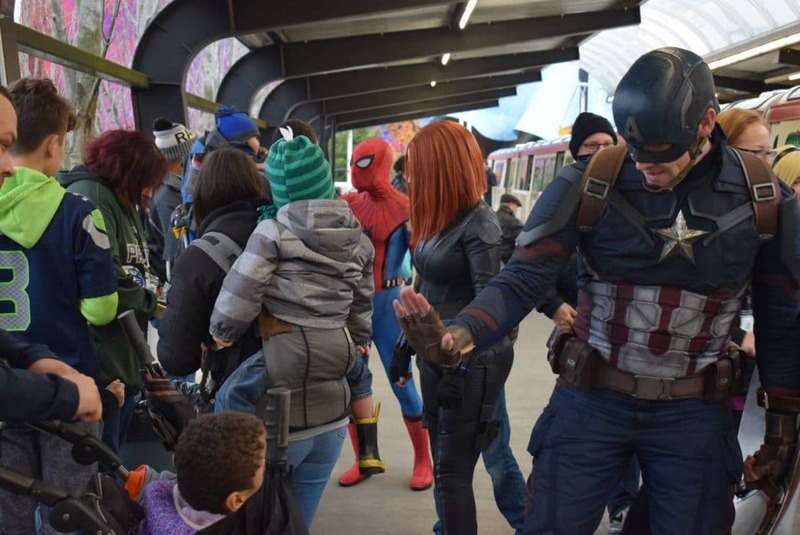 Everyone gathered at the Seattle Center Monorail Station for refreshments, caricatures and photos with Captain America, Spider-Man, Black Widow and other Avengers. From there, we boarded the train to Westlake Center. 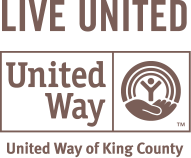 On board, raffle prizes included: tickets from USS Turner Joy, Woodland Park Zoo, Safeco Field Tours, MoPop, the Space Needle, Ride the Ducks and NW Trek. 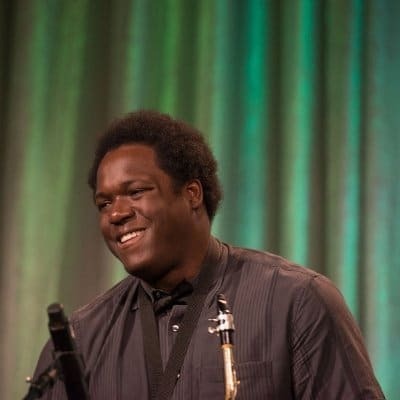 All families also received tickets to the Seattle Aquarium and the Seattle Children’s Museum. 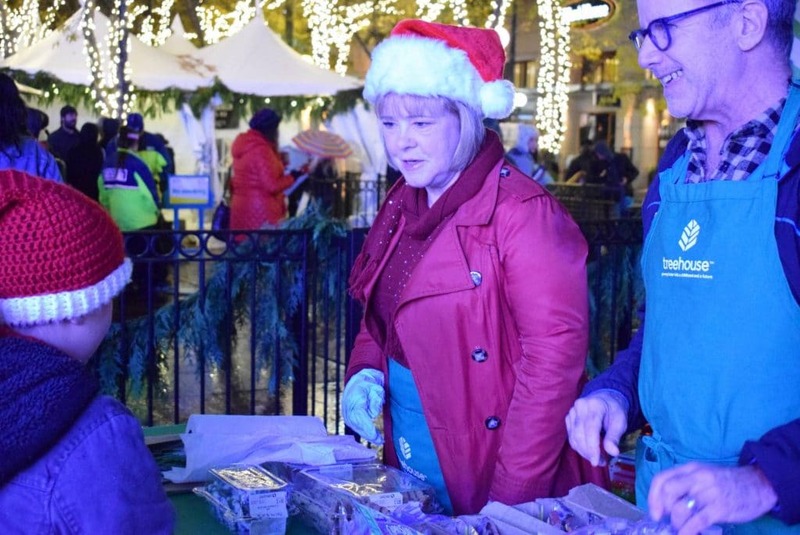 The train arrived at the Westlake Center Monorail Station, and we walked to Westlake Park, where Treehouse volunteers provided more refreshments ahead of the tree-lighting ceremony. 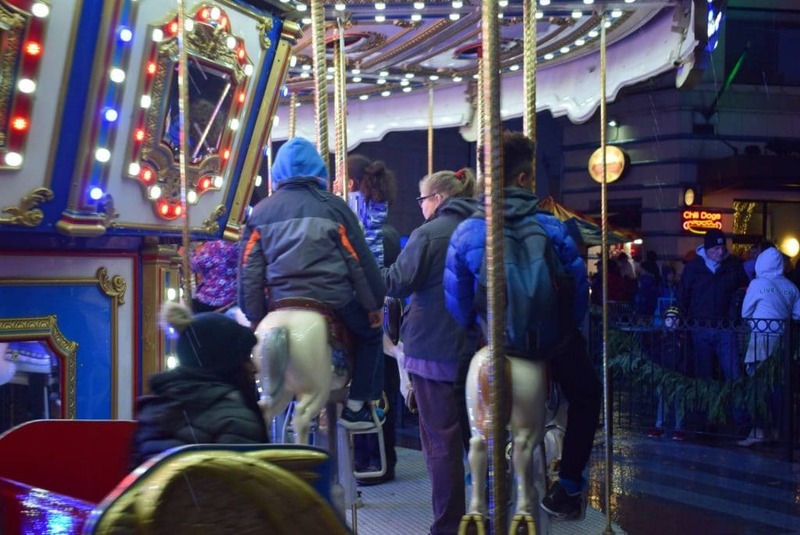 Once the tree was aglow, Treehouse kids enjoyed the first ride of the season on the Holiday Carousel. 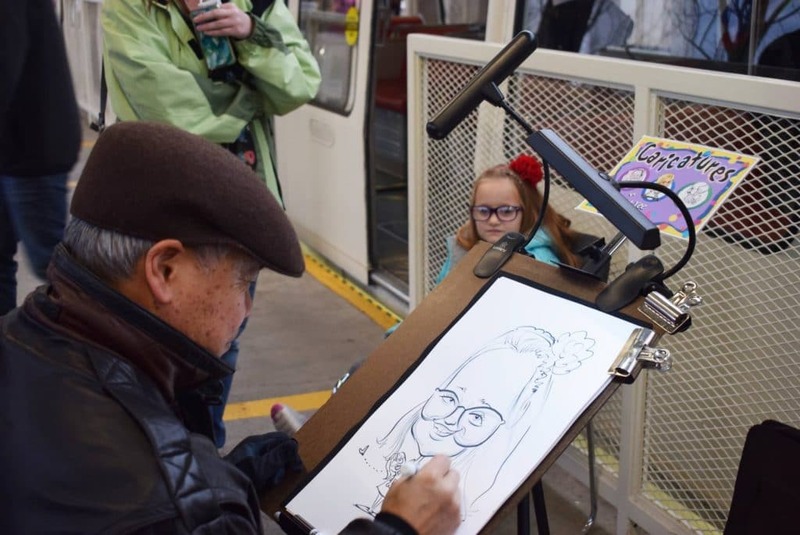 Thanks to the Downtown Seattle Association, we are again the beneficiary of funds raised from the carousel, which is open to the public through January 1. Treehouse is beyond grateful to all of those who made this event so special for our kids and their families. 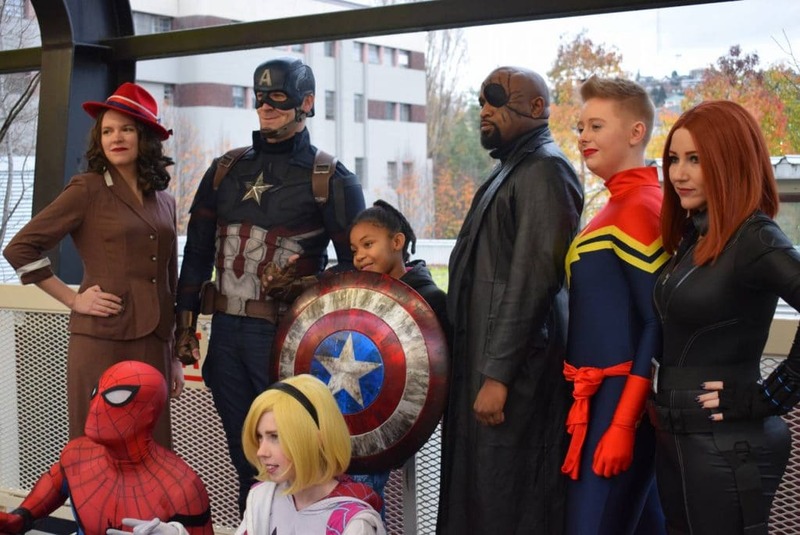 In addition to the Seattle Center Monorail and the Downtown Seattle Association, we want to thank the raffle prize donors, Seattle Avengers and Gates Foundation, which generously donated parking spots to participating families.